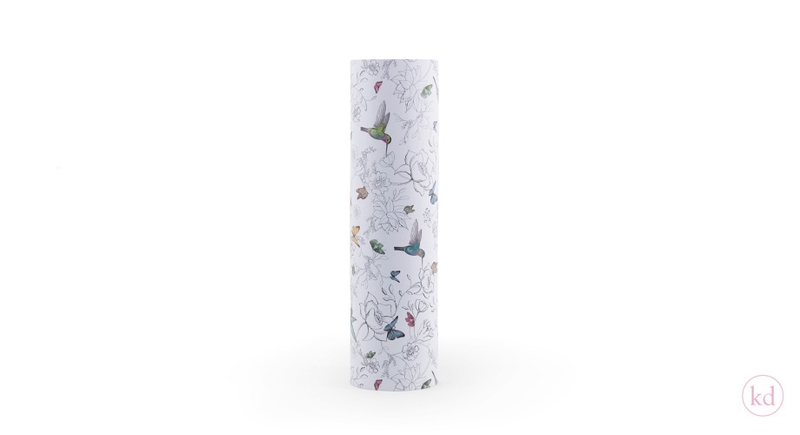 Dress your gifts with this super beautiful birds, flowers, butterflies design! 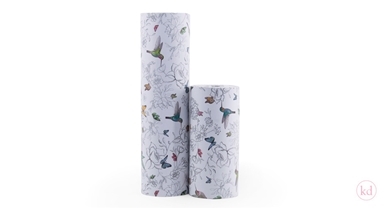 Our unique collection of gift wrap features trendy designs and patterns, including this high quality paper, but also lots of designs for Flat bags, cotton bags, tissue paper, stickers, and more! This Floria design is available on 30 and 50 cm and you get 150 meters per roll!